Everyone has been talking about David’s huge increase in Twitter followers. Pretty sure I hit on part of the reason after reading hundreds of comments on his new Forevermore songs on YouTube. I’ve been stuck in the vortex of the Forevermore video, and every other video of every song from that CD. The fans have been busy. So have the non-fans. I really should be calling them new fans in the making. I started reading the comments. Hundreds of them. More than that even. Mad respect to this dude for shining light on original Filipino music. Much love. 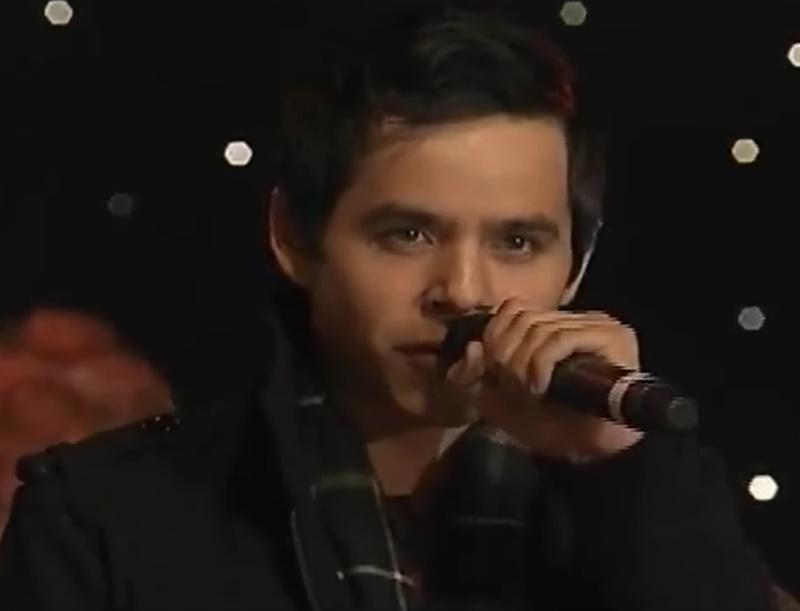 OMG This is a pleasant and wonderful surprise to stumble on David Archuleta singing OPM. Lovey you David! I wanna cry!!! I loved this song! that’s a fililipino soul with foreign heart..
it’s nice to know that some international singers are singing our Filipino song. it seems like we are very important in a way. 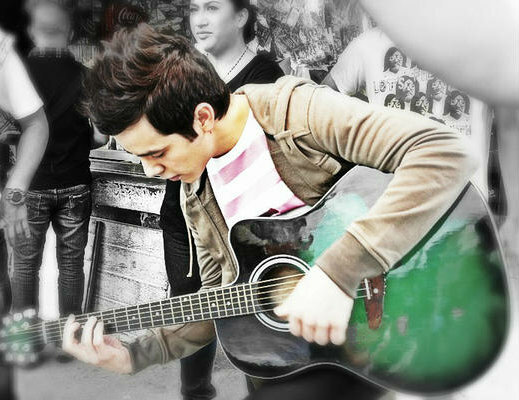 i like the version of david …super like .. woah!!!! that’s a filipino song!! i’ll gonna buy this album for sure! wow! i was surprised! my heart melted… ang galing nya..
My all-time favorite song. David did an awesome rendition of this song. It gives me goosebumps. it makes me remember my girlfriend. 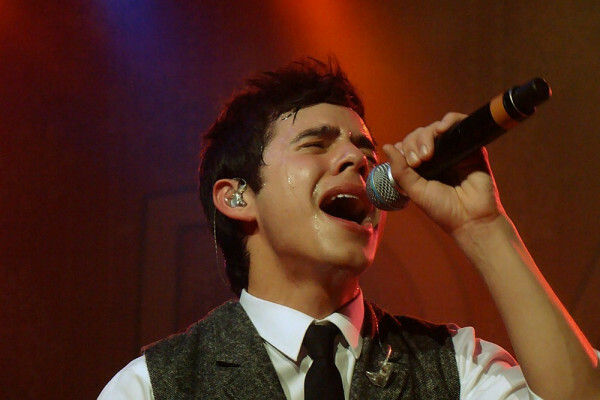 i can feel the pain when he sings. I just realized that you don’t listen to DA, you pull the music around you and wear it. What a great feeling. There was one section of back and forth comments that was so funny. 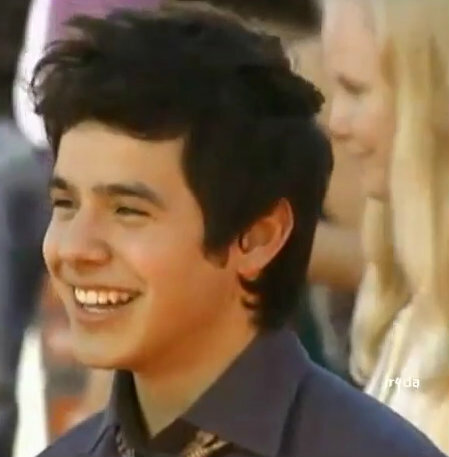 People were stating quite strongly that David is half Filipino. Another said he was 100% Filipino. Yet another that he was Mexican. They are just learning, lol. I give them another month and they will know everything about him. 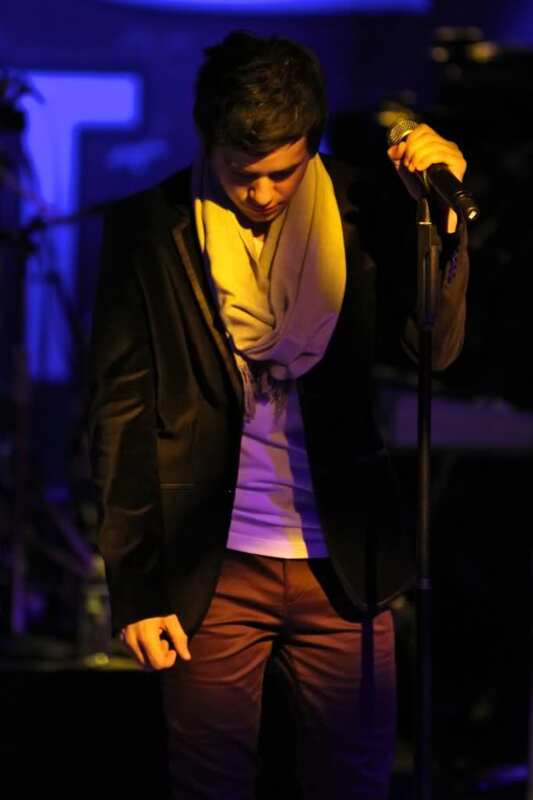 He seems to be gaining fans so quickly and I have a feeling that his new Forevermore music is the main reason. His Twitter followers stand at 1,123,420 tonight. This makes me wonder what will happen in August, when the new CD, “BEGIN.” is released. Will his US followers increase substantially? I hope so. But people have to know about it. I hope there are plans for some type of promo, any type of promo. He deserves it. I just know this music is going to be beautiful. Maybe his best work yet. 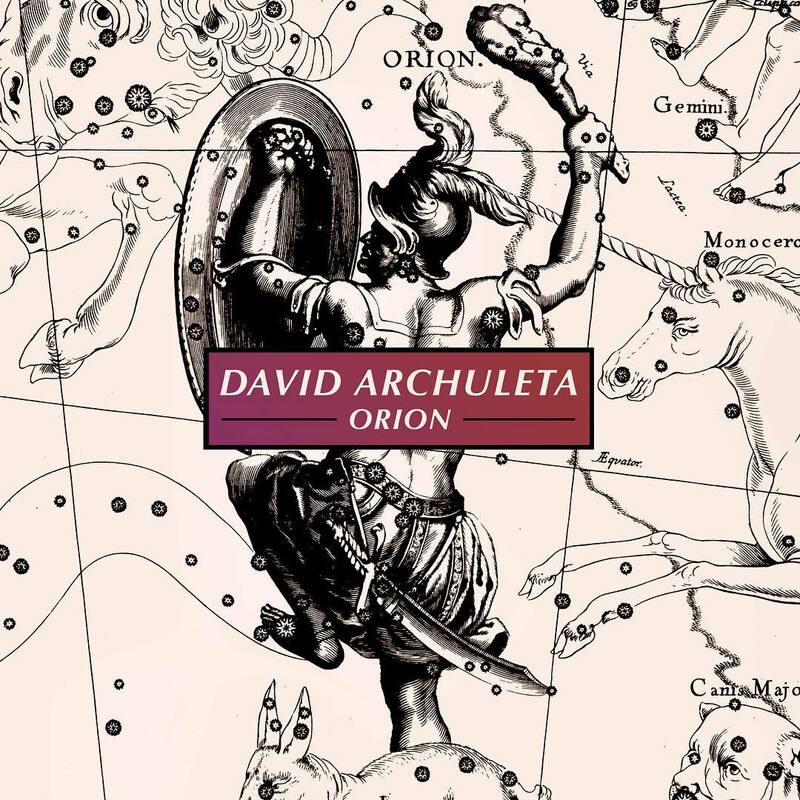 This entry was posted on Tuesday, June 19, 2012 at 12:23 AM	and is filed under Appreciation, David Archuleta, fandom, The Voice. 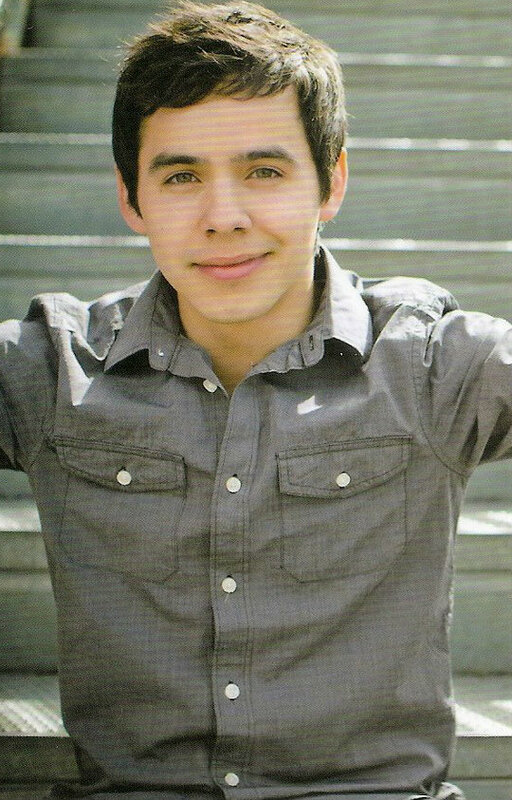 Tagged: David Archuleta, Fans all atwitter, Forevermore, New fans ftw!, World Wide Web of fans. You can follow any responses to this entry through the RSS 2.0 feed. You can leave a response, or trackback from your own site. betsy – I had to laugh thinking about you (or any of us) stuck in the Forevermore vortex. David’s approach to these songs was so respectful and I loved reading the comments you brought over from youtube. Now I think I have to run over there myself and just skim through, reading people discover what some of us have been lucky enough to know for 4 years. I love that he keeps getting followers. Had fun at the NA viewing last night – thanks! Thanks for putting into words what I have tried to pinpoint about the rise in followers since David left for Chile. It makes perfect sense that his popularity has snowballed since his recent Asian appearances. 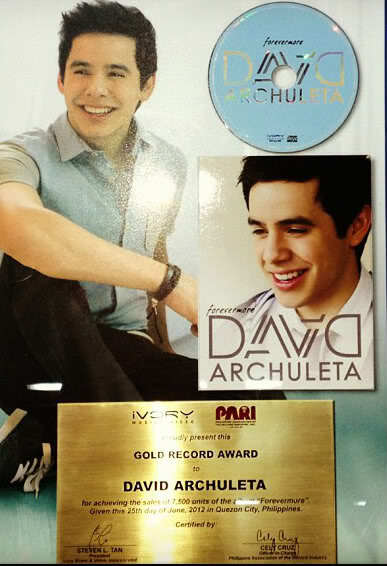 By making the Forevermore CD he has touched a whole new fan base and generation. Another stroke of genius was when he joined Ogie and his wife on stage to sing Nandito Ako. It was memorable and iconic for those who knew the original song and were introduced to the next “owner” of the song. I think that promo isn’t so much of an issue for now. When David returns, he could present both Forevermore and BEGIN. as “new” music. Die hard fans will already know about them, but the rest of the population just might find something they like as well in these albums when the time comes. I think that many people will be surprised with the upcoming success of ‘BEGIN’. Now that more tweets are in English and the attention to a super album of known content is on the horizon, success will be inevitable and not surprisingly so. The recipe is the best of the best wait and see. It is obvious David took meticulous care to pay his respect to the original artists of these songs.He is so intuitively connected to the music and so respectful of the original artists…what better gift for the Filipino fans than to sing the songs they have loved. what is the saying? Imitation is the sincerest form of flattery, and he has now reintroduced the rest of the world to these beautiful songs! I love JR’s story!! That is so awesome!! speaking of tweets! haha I love the latest one! I love this article Besty and I love Forevermore too. This comment is the way I feel…I just realized that you don’t listen to DA, you pull the music around you and wear it. What a great feeling. I’ve also noticed an increase in Spanish tweets since David arrived in Chile for his mission. I’ve been tweeting with them and they love Forevermore songs of love and messages to his fans. In the meantime we have I’ll Never Go release this Sunday! 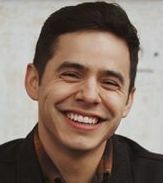 American Idol Season 7 Runner-up and international artist David Archuleta releases “Forevermore”, a collection of classic Filipino love songs translated into English and composed by some of the Philippines’ renowned songwriters, such as Ogie Alcasid, Louie Ocampo, Jay Durias, Jimmy Antiporda and Cecil Azarcon. This month, Ivory Music & Video is launching the album’s second single “I’ll Never Go,” originally done by the now-defunct band Nexxus. Great article, Betsy! So exciting to meet the Pinoy fans, so exciting to see his fanbase grow even while he’s away!!! Betsy, I am one of those new followers of David. 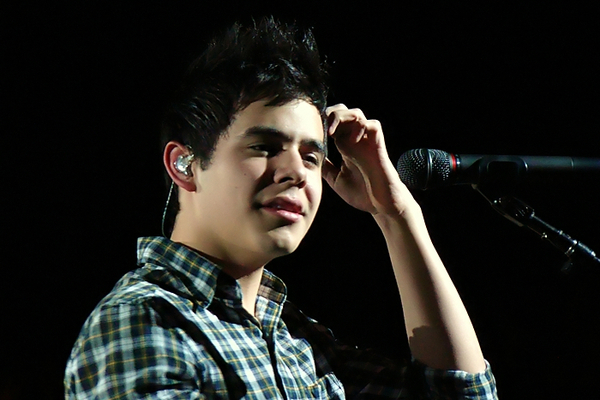 After AI, I never followed David (like most of you do) until Nandito Ako and Forevermore. Heck, I never followed any AI contestants at all to be honest. In AI history, I only voted for two contestants, David A. and Jessica Sanchez. I am just starting to realize how much I have missed on those four years that I did not follow David. Getting to know him now seems a far distant travel I have to trek until he comes back from his mission. I am captivated by his persona. Then this Forevermore album came out which brought back memories of my younger years in the Philippines, first love, break-up, true love, etc. In an interview, David mentioned that he was worried if he did do justice to the songs and original singers. 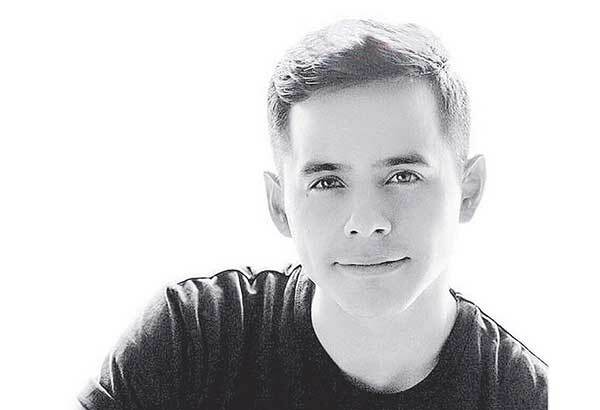 I’ve listened to those songs of the original artists before and I can attest that David did a wonderful job, not only introducing those lovely Filipino songs to the world, but putting such wonderful emotions to the songs which added new flavors for younger and mature followers to listen to. These songs never seem to fade away and encompass generations of listeners. 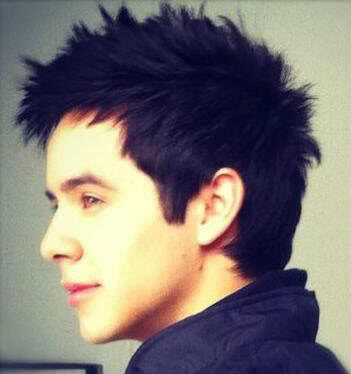 Now with his new album “Begin” coming out soon, I can bet that David’s fanbase will grow so much more. I can’t wait for “Begin” to begin! Hmm .. not sure if I comment here or on the next one? I’ll try here. Great article. We’ve all been noticing how David’s followers have been growing in number and I think you maybe right. This beautiful, heartfelt renditions of these songs bring back so many feeling and memories for so many people. Like you, I hope BEGIN. is promoted enough to catch the attention of the U.S. fans/non-fans in the same way. While I haven’t heard them yet, I’m confident that these songs will be sung beautifully, and emotionally, while still remaining true and complimentary to the original songs and artists, just like the songs on Forevermore. Thank you for sharing JR’s story. I love back stories. It brings new and different perspectives to things. …..poohbear (don’t ‘ya love WordPress? you never know who you might really be), “I can’t wait for “Begin” to begin!” I’m with ‘ya…. is it Aug. 7 yet? A fun read Betsy! Thanks for writing this article. I am so glad to hear that David has been given The WARRIOR IS A CHILD.. 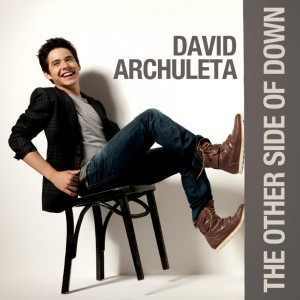 It is a beautiful song that has often reminded me of David’s heart and has walked me thru some of my life’s heartaches. I love the notion of wearing David’s music.. being enveloped in it all. I love that second language translations will bring us new metaphors and words and thoughts about David and his music. This will be fun! and Oh I am so excited about BEGIN! What a great gift to us.. Bridge Over Troubled Water has been a favorite of mine since I was a child and my brother and sister sang it to me as a lullaby. We have so much to look forward to! 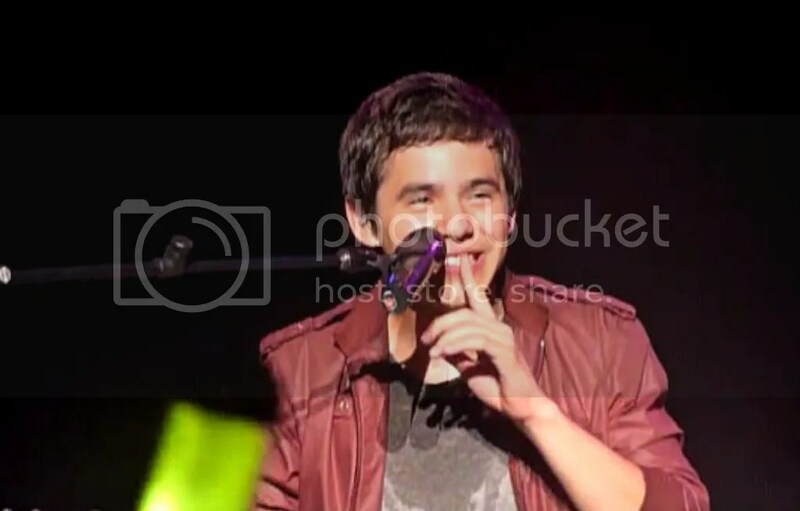 Abs- I love that video of David singing with Ogie & Regine. Respect all around. SB- Hoping for big things with BEGIN. nanaweize – It IS such a great feeling. Dja – I LOVED putting the comments together! TBH, it started off as a comment of mine about a month ago that went insanely long, lol. Violet – It made PERFECT sense to me. MT – That vortex is a killer. And I cannot wait for Begin. Tawna – So glad to see his following increasing daily. To be honest, last December, I couldn’t have imagined this happening. Surprises are good. Thanks for showing us your findings in such an interesting article. The pattern you started to notice in the YouTube comments makes so much sense. 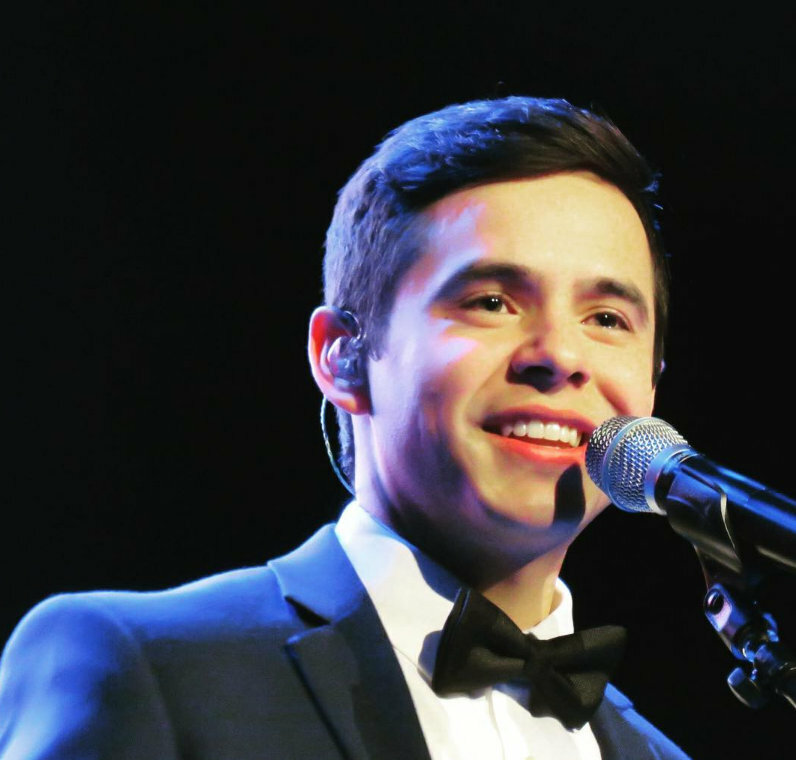 It’s evident that David picked up more fans from the Forevermore album. So what is it about this album that brought more followers from fans in The Philippines? I think JR was right when she says “Honest and pure emotions. That’s why the songs connect.” You can always count on honesty and sincerity from David. That is who he is. I am sitting in Unplugged for some David-ness. Come sit with me for a bit if you wish.Sometimes I just miss him. #15 – Betsy, delurking comes easy in this fansite. LOL! You guys made me feel welcome. Nice Article Betsy!! Love that David is getting new followers. Thanks for pointing out the comments under you tubes. I’ve noticed on TDC that some fans have become more interested since David announced his Mission, which was a pleasant surprise. It’s fun to see the excitement that many of us felt from Day one, surfacing now. JR rocks!! Giving David some of these songs, I’m sure sparked his interest. Mr. “Jute Box” registers everything in his Musical Being. The “Google” of music. Seeing the enthusiasm of new fans and dedication of “old” fans warms my heart. Thank You!! for giving pause to these thoughts and sharing with us. Warms my heart!! Still having trouble at times getting kicked off the site and have difficulty getting on. Could be just me. Sent a note to the Site. What I can I say?? david is a maze. I never want to find out, because in each corner can be a surprise. Since February 2008, I have enjoyed every one of the surprises that David has given me. Do you know someone who wants to come out of this maze? Gladys! Hola! We were missing you in chat. I hope school is going well for you. left! 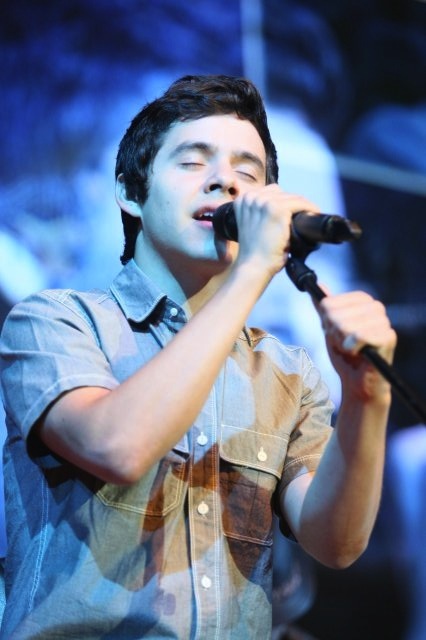 Forevermore is such a great album…beautiful songs interpreted perfectly by David. I’m truly hoping that BEGIN. will have the same effect here in the states. I’m dying to hear those covers! #23 Do I spy a motorcycle helmet and guitar? Bebe – My unofficial research, lol. This is what happens when one spends too much time on YT. Gladys – A maze, hmmm? True that. Patti – Yaaay for a Crush snippet! “TBH, it started off as a comment of mine about a month ago that went insanely long, lol.” Thanks for taking the time to expand your comment even further (and our view) by collating so many other comments from new fans. 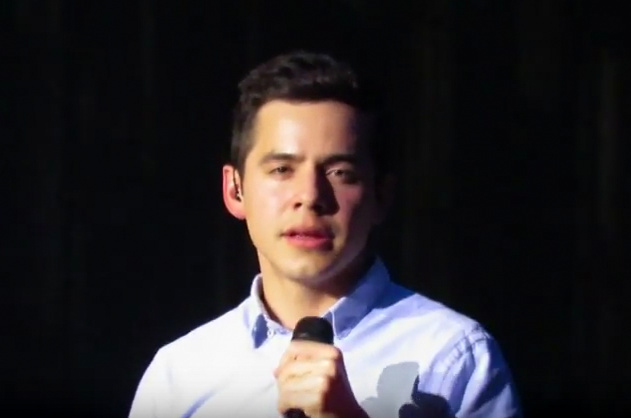 The whole world needs to hear and feel David’s voice. 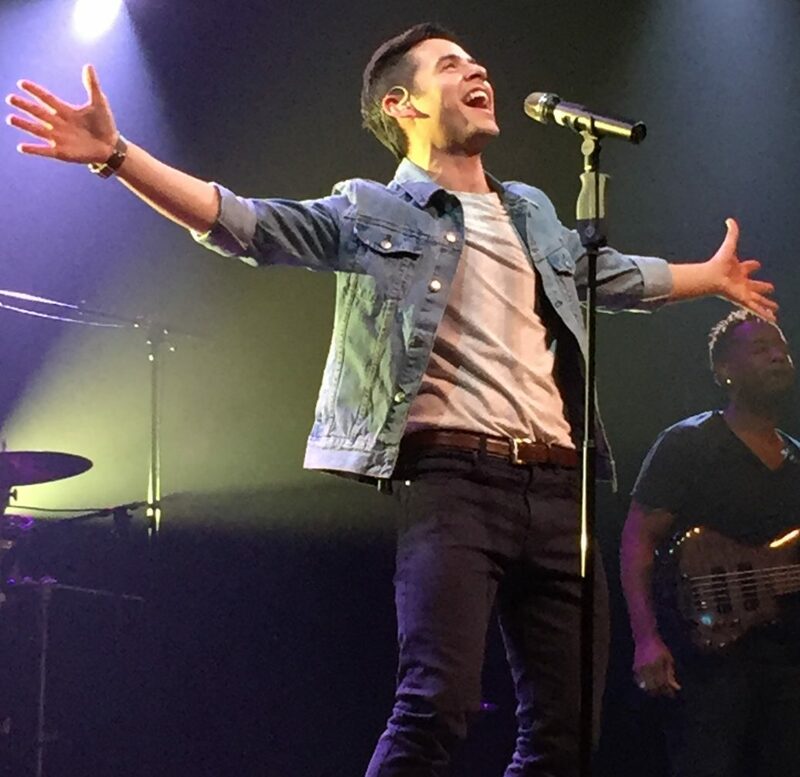 How many people have been changed for the better because of this young man voice and genuine goodness! I want that to happen on a global scale and I see it coming to pass. First North America, then Asia, and now with his mission in South America, I think he will draw more attention from those on that continent, especially when the Spanish album comes out. What will happen with Begin. in the US remains to be seen. We are a big pond and a murky one at that. I think the music industry here has become stagnant because it has damned the very artists who could open people’s hearts to real music again. 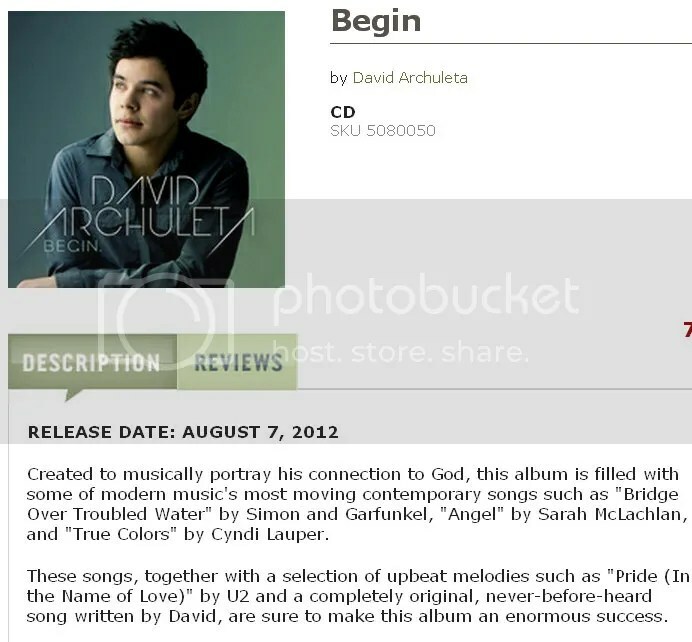 Just as in the Philippines, with Forevermore, I think David’s covers on Begin. may begin to usher in a new/old appreciation of what music once was in this country and still can be. It has to start somewhere. I’m enjoying these tweets. On Twitter, I’ve been noticing more and more tweets from Egypt, Poland, Italy, Mexico, Africa and many South American countries. Same for the comments on David’s youtubes. We were discussing in chat the other night about how David’s fanbase is growing slow and steady. (Yes, we do have serious discussions in TVU! LOL) Slow is alright with me, as long as it’s steady, too. WordPress keeps track of where our viewers are from and lately there’s been an increase of hits from a diverse group of foreign countries. Sounds very promising. On another note, Gladys was kind enough to translate for us, the passage in Spanish that is on Jeniffer Barry’s calendar from the last article. I’m glad to bring it over here to share with you. Gracias, Gladys! thank you very much for the Spanish words are very uplifting. “When you share the happiness with the neighbor who has nothing, there is a spiritual rebirth that will never die. Thank you Gladys! I saw that Jen said this was a quote from David’s abuelito. A true international celebrity. That is what I see in development, slowly but steadily David is receiving recognition from many parts of the world. I believe that this international attention will gain the attention of the media in the US and in turn remind others or introduce them to David. Here’s a graph of the visitors to The Voice from all over the world, some surprising to me. 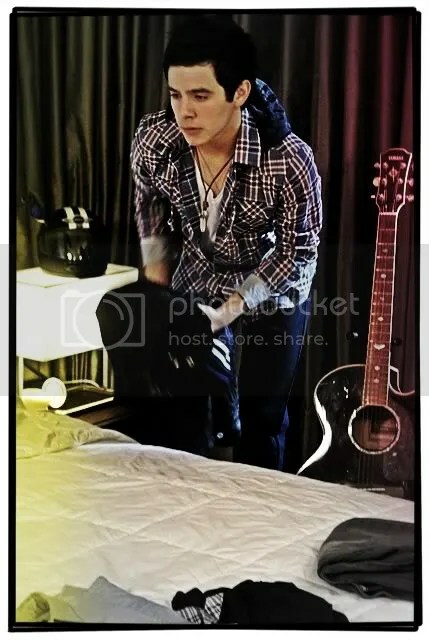 Hah Kari even takes back shots of David! Djafan, I love the album cover for BEGIN. too. It commands your attention. Love the map dja. 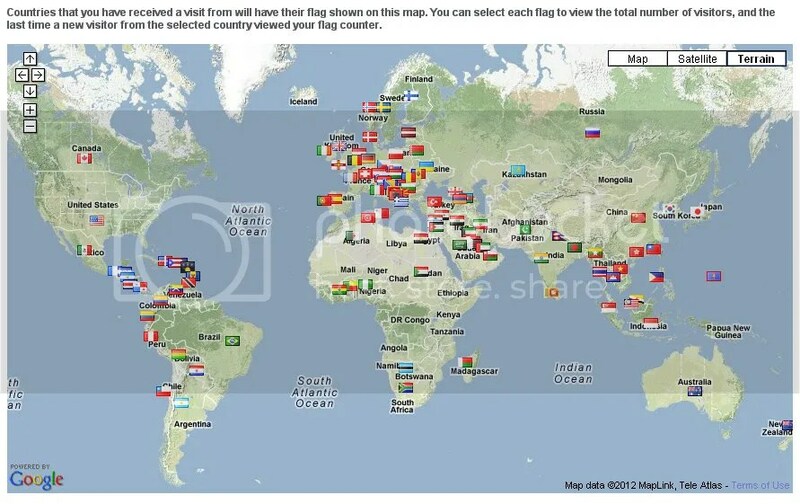 So many flags! Great to see the expanding world of David. 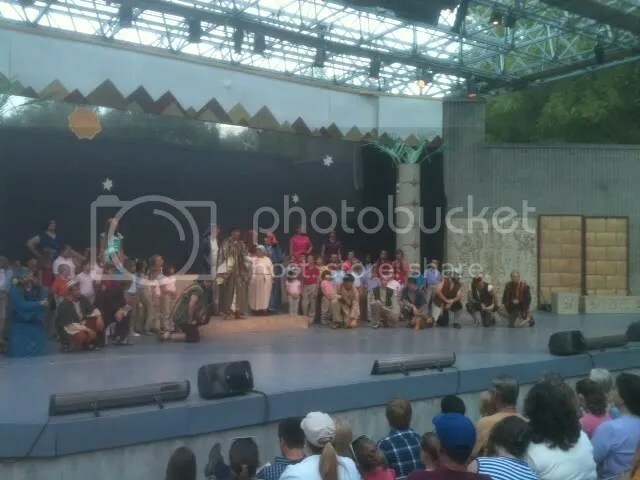 Oddity and I went to the Murray Amphitheater tonight to see Joseph and the Technicolor Dreamcoat. We are so needy we are interested in anything remotely attached to David. It was a fun performance, but our eyes and thoughts kept returning to the “techie” working the lights. Haha. Oddity figured if he had not quit that job, he would have gone on a mission when he turned 19, and thus would be back with the lights by now. Nice article and it warms my heart to see the number of “new fans” keep growing and thank you for the collections of the heartfelt and interesting comments on youtube here. #26 Angelica, what you wrote there is giving me goosebum for some good reasons, he’s spreading goodwill slowly but firmly all over the world now and like Betsy said just like when he sings “imagine” no country, no religion.. I hope with BIGIN.dropping, it will open doors for David as well as open non fans hearts and eyes so then they’ll realize what they’ve been missing all along. Djafan I like what your coworker said “with a face like that he must sound good ” how true 🙂 I love looking the map !!!niceee. Happy to know your bracelet came.in the mail! That map SHOUTS world community !! 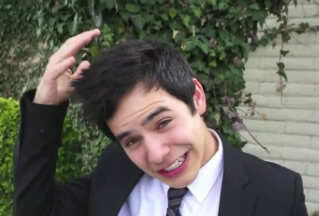 I know that I would never get the chance to have so many friends in many countries were it not for David’s fan base. 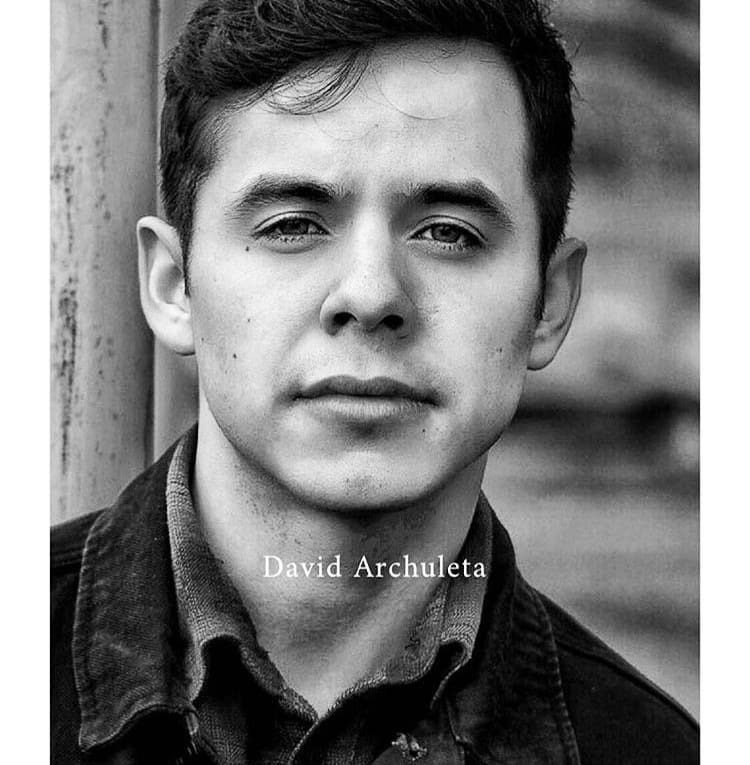 Since the topic is about David spreads his wing the world over, we heard him sang in Spanish, French and the newest addition is NA in tagalog, and he sings them so well in any language so far, I have a dream as international fan that I’d like to hear him sing a song in my own language…man I’d be on cloud nine…David and his adorable accent sighhh… What about “one language one song” that would be awesome :)…haha now I’m really dreaming. 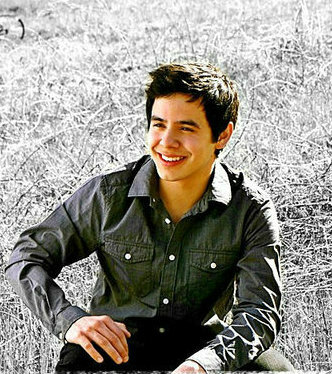 Morning, my fellow archieholics! oooh, lots of goodies here from last night! 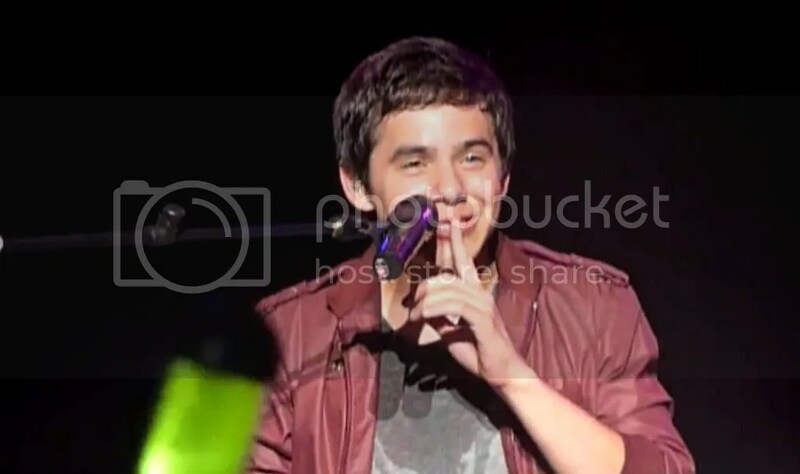 37.Abrra, love when he took control of the crowd with that sweet smiley “shhhh”♥ He knows its hard for his fans to contain all that excitement and love we have for him,doesn’t he? That map!! Love seeing that..warms my heart so much. Took me by surprise too, seeing some of the places on there. Thanks Dja! 35.Bebe, that ANGELS!! never get tired of watching that performance from Tulsa. Epic! 35. Dayzee! that is so cool you went there. Thank you for posting those pics! Always wondered what the amphitheater looked like where David worked:) you are so fun! Pocoelsy♥ I like that thought. He did return to the “lights” – just from the opposite position (AI, etc.) And he is serving as a “light tech” now – for just a bit – so that he can shine, shine, shine even more. *sigh* Blessed be the source of all the light that shines on him. Aw! Dayzee, Love the Picture of the Tech@ Murray Theatre. For a minute, I thought someone had taken a picture of David when he was a Tech. He was so proud of that job. :)) Glad he tried out for Idol!! Bluesky, I loved your “take” on David’s career in lights. I was reminded of the time I saw him at the Deseret Book signing after the Mormon Tabernacle Choir Christmas performance. He had such a glow he lit up the entire section where he was sitting. It was heart-stopping to see. Abrra, I too am thankful for my David family of friends. From Murray to countries that are no longer foreign to me. Last night I was thinking of how different Oddity and I are. She is too hot when I am too cold. She does her stuff late, for me it is early morning. She has one daughter and a couple of grandkids, while my sprawling family is huge. Yet we are sisters, holding hands in the David vortex. It is such fun to share all things David here at The Voice. 44 Dayzee: It is because of loving people like you that we are able to make such life-warming connections. Thank you all for your sweet support of this project. You’ve been a blessing to the campers and staff of Camp ASCCA and to me. Hugs to you all! Djafan, I love the map showing how far and wide David’s light has shined! It’s so amazing how his followers have continued to grow while he isn’t even here! I can only imagine how many more flags will be added to the graph as 2014 nears?! Betsy, Great article! Some time ago someone said David would reach all nations one song at a time. He has many more fans since Forevermore was released. IMHO, he shared some of his best vocals ever on that little gem! Knowing that, I am even more excited for his take on his Begin tracks. Especially Broken! How do you add a picture to comments? I was going to add one today of a very smiley David, but I couldn’t figure out how. The presale for BEGIN. is beginning!!! Has anyone tried ordering BEGIN. It’s asking for a promo code. Do we have a promo code? My checkout basket keeps coming up empty without it. Am I missing something? Is it too soon? What am I doing wrong? YAY MT!!! I’ve got my pre order in!!!!!! I loved your fun, informative post! What a great idea to share some of the thoughts, etc. from peeps around the world that you are gleaning from the youtube, etc. sites. He hits us all in the same place, and all at once my heart has rooms and vistas that I didn’t know were there. Thanks for your lovely contribution. And the smiles. And the “hands across the water” view. 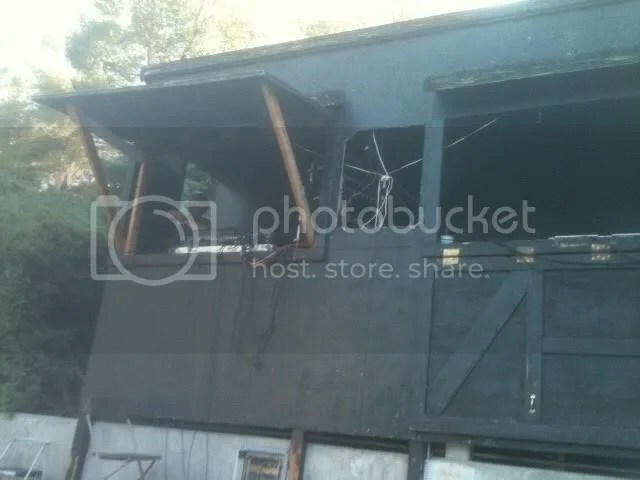 From @SunnyHilden She found an older picture displayed. Festive finding this today:) I was there that night, after seeing “This is It” with him & his band. I didn’t pay a pre order fee, it was never even mentioned. It was $11.89 for one with discount (promo code JUNE30) and then you pick your own shipping. Took a few minutes and done. Estimated arrival time and choice of carrier may vary from order to order. Shipping times quoted are for in-stock items only. You will be charged an additional $3.75 to ship each pre-ordered title in your order. This is because preordered items will ship separately from the rest of your order, when they become available. It reads to me like they want more money for pre order. When I click continue it shows this total. I was ordering 2 CD’s. One at the reg price and one with the discount. Done…ordered my copy. Yippeeyy! Thanks! I ordered one. These were the charges. I went back and changed my order. Because I wanted to buy a 2nd Cd, that triggered the surcharge widget. I’ll buy the 2nd one when it is released. O.M.G. My avatar is back!! I did some messing with my settings. WordPress finally got the memo. Just ordered my copy! Total was $14.88. So excited; August 7 is getting closer and closer! MT, Was it you last night in chat who said “We should be getting the notice about pre-orders soon.”? YAY for your avatar! And glad you got your order in for BEGIN.! Mspoohbear you got yours too! I got my copy ordered. I hope they release some snippets soon. Another 45 days is just too long! 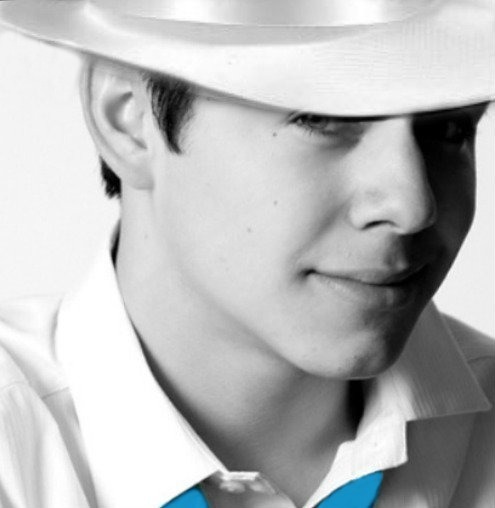 This album is going to be a keeper for sure, well…all his CD’s have been keepers for me. Betsy, loved reading all the comments you brought over from the Forevermore video on youtube. I love seeing his numbers increase too on twitter. Oh how I’m missing him! Abrra, I had to stow those screencaps from that ‘Crazy’ video away for safe keeping. He’s just too cute for his own good!!! Have a wonderful weekend ladies and gents! *Raising Hand* Feeling the light too, Bluesky!! Betsy, thanks for gathering all those great comments. It truly is amazing how rapidly David’s numbers have grown on twitter! Hope they just keep growing…what a great homecoming present for David! Djafan, that map was so interesting…and quite incredible! True international star! 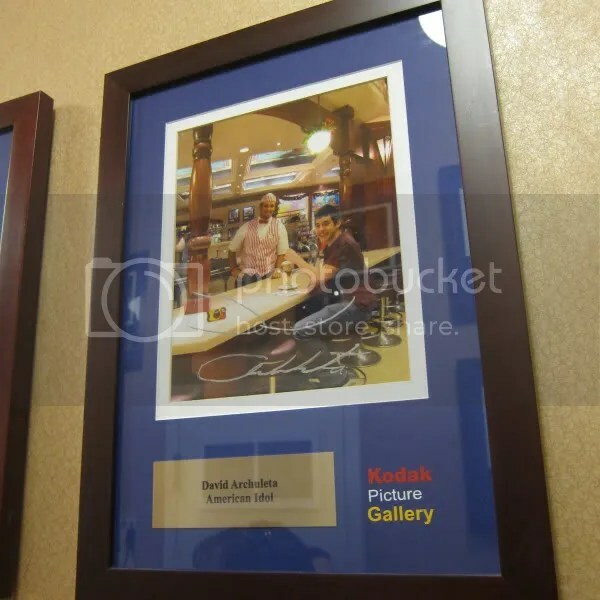 I dreamed last night that I was trying on shoes with David last night at a department store! Haha! Interpretations?! Haha, Angelica…now I’m not only feeling the light…I’m also feeling the hunger pangs! well, eeek! lots happened since this morning here. Pre-orders ftw! the “Hey Ricky” Archuleta spanish omelet! rofl! but… I have to admit… that strawberry-ice cream?-vanilla-yogurt?-fruit-on top- thingy looks mighty tempting and delicious. Kaycee, we need more details on this dream of yours! hahaha. Good stuff Betsy, It’s so exciting to see the interest in him and his followers growing. I’ve often thought about the profound effect he has on us and how the world would be a better place with more David fans. And have been thinking the same thing, BEGIN. might be his best yet. Blimps, roller coasters, gravity free rides, possible skydiving…I can see motorcycles….have wondered if he took a guitar with him….I am just guessing yes. Wondering if there has been any thought to gifting BEGIN. to hospitals and such as we have done in the past. Got in my preorder. Hope we get a few snippets sometime in the next few weeks, I think….don’t know if it will help hold me over until the release or if having to wait after hearing them will make me completely insane. 70.haha well, I meant to say “my calendar arrived JEN” LeighBarry. (what is wrong with me?) sorry, got mixed up. have a good Saturday-day everyone! pre-ordered my copy. Total us$20.64. i chose the cheapest shipping rate – $8.75. the cd will be taking the scenic route to my house! lol. Got my pre-order in. As soon as I hit “confirm” I asked myself why am I having Begin mailed to me when I live around the corner from a Deseret Book. It will be interesting to see which will reach my CD player first, the one in the mail or one of the CD’s I pick up. Haha. Of course, I want the number of pre-orders to astound Deseret Book. I saw a comment that it’s also going to be available on iTunes, Amazon, and at large stores l ike WalMart!! The comment said Shadow Mountain Records on facebook posted a comment about it. But I can’t find it. I hope it’s true. I want the CD to be EVERYWHERE! 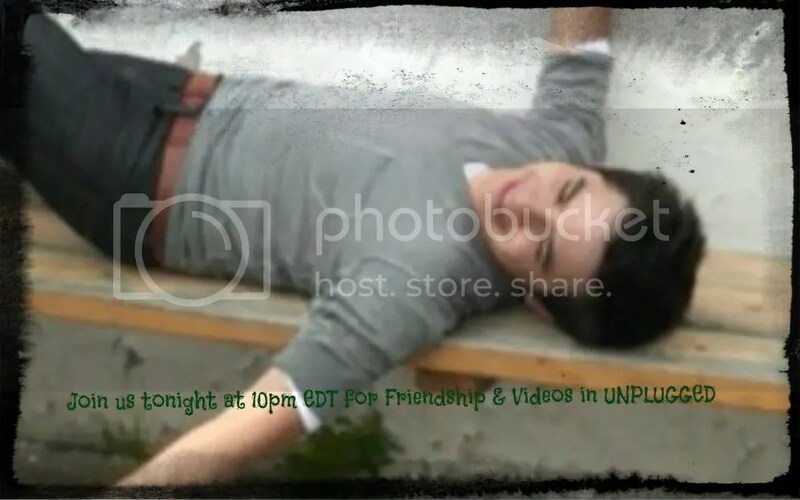 Everytime I load the page again and see your sign for unplugged, I giggle. Fried ships sound really good but I’m watching my cholesterol. I’ve had fried ravioli before and I like me some fried chicken but I’ve never \had fried ships before. It’s okay though because I’m adventurous enough. What time do these fried ships dock? fenfan, Hi one question if you please, where is your location, Singapore? I’d like to order too but wouldn’t dare hit the button yet because of the shipping fee!! should I wait for amazon or better still will it be sold here in Malaysia!!! so far there’s no news of BEGIN here as far as I’m concern.!!! hi Pocoelsy I am in Singapore. I don’t know whether the album will be sold here or in Malaysia. It might be cheaper to wait for the local release. His other cds were released simultaneously here and in the US but I am not sure about this one since it’s not under a major label. I bought the MOTAB cd from Deseret and it came quite promptly. This order would likely be the same. Found this on FOD. Looks like a great roll out. I can’t imagine there won’t be some promo and of course us, the fans! 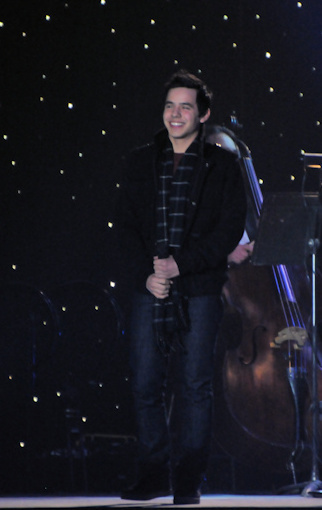 Can’t wait for David Archuleta’s BEGIN. album to come out August 7! I wonder though where we can buy the album. Is it through major retailer stores like Best Buy and/or through Deseret Book online? Sorry if I’m asking too much lol It would be greatful though if you can answer it for me. and Shadow Mountain Records replied with . . . Shadow Mountain Records Hi Shad, we’re glad you’re excited! You’ll be able to get it at http://deseretbook.com/, iTunes, amazon.com, and large retailers such as Walmart. Love this niews from David and Kari!! !